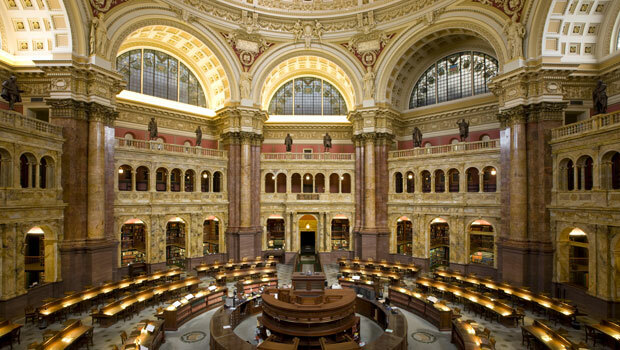 Main Reading Room of the Library of Congress in Washington, D.C. Photo by Carol M. Highsmith. The right books can be the best windows into a culture, city or country. They capture a mood or a feeling or a place and transport you to that location. And in the United States, we have many authors that embody the culture of the U.S., from classic stories to modern novels about America and some of the most well known places in the country. Learn about the latest books in the United States with the New York Times Book Review, found online and in the New York Times. The weekly magazine features reviews and articles about American and international literature. Participants should also browse a list of state libraries and public libraries throughout the U.S. Become a member of a local library to take out books, rent electronic books and, often, to use services like computers, Internet, printing, faxing and more.